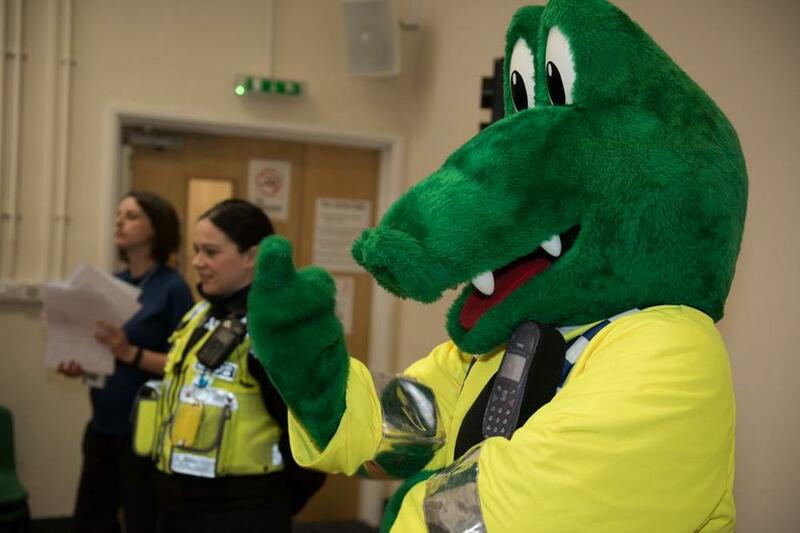 Today, we had a crocodile named Colin on the loose in Parkend Primary School. 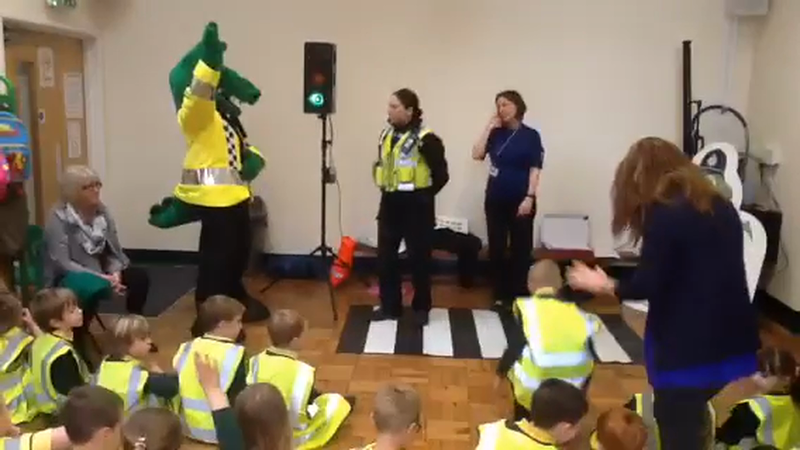 Luckily, he was a very friendly croc, although quite naughty at times – but he seemed more interested in stealing veggie sausages and showing off his dance moves than eating any children. By lunchtime, Colin was getting so big-headed that he was even seen signing autographs in the playground! 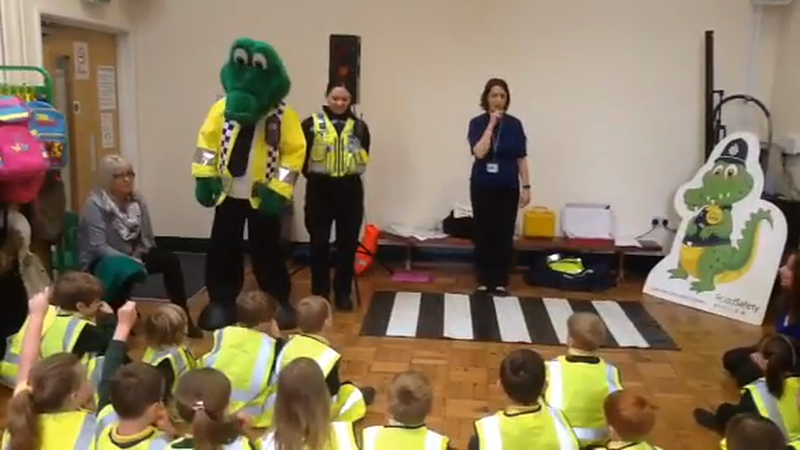 Class 3 even got to go into the playground to learn about car stopping distances and to use a real traffic camera to record the speeds of passing vehicles! 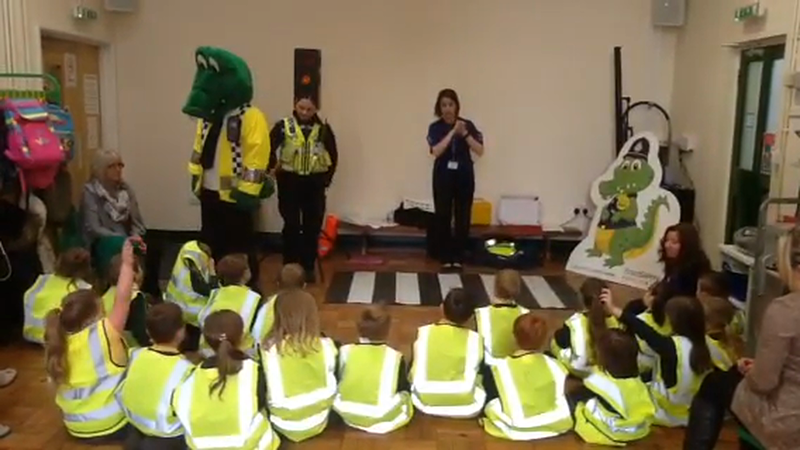 The police have promised to return so that other classes can use the speed camera and next time the police may even stop and give tickets to any motorists caught speeding past the school!